With the discovery of iPS cells (induced pluripotent stem cells), which differentiate into many different types of cells, eyes of the world are on regenerative medicine—restoring physical functions lost due to disease and injury. The technology to build three-dimensional biological tissue from iPS cells also goes beyond regenerative medicine. Research and development efforts are being accelerated, at the prospects for its application to finding causes of diseases, developing new pharmaceuticals, and testing the safety and toxicity of drugs and cosmetics. To reproduce biological tissue structures that are close to those of living bodies, you need to appropriately arrange different types of cells and assemble them three-dimensionally. Research and development of 3D bioprinters is under way at Ricoh. This technology uses an original inkjet system, which can arrange cells very precisely. It will lead to the production of artificial human tissues that are very close to those of living bodies. Ricoh is committed to ensuring the stable ejection of cells, by designing cell ink formulations and developing cell inkjet heads. The 3D bioprinter being developed as a system has four functions: cell ink preparation, precision 3D printing, cultivation and inspection of cellular constructs. Ricoh intends to use its technical strengths nurtured through the development of printers, such as its inkjet head technologies, to produce artificial human tissues that reproduce biological functions. 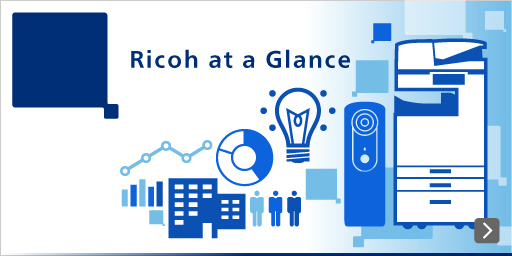 Ricoh is committed to bringing about innovation in the healthcare field. *This technology has been developed partly with a research grant from the Japan Agency for Medical Research and Development (AMED), a national research and development organization.